Fruitless Pursuits: The Book Was Better Podcast Episode 29: Alien Resurrection! The Book Was Better Podcast Episode 29: Alien Resurrection! The Book Was Better is the podcast where Jessica and I endure crazy movie novelizations for your entertainment. It's the literary equivalent of watching Johnny Knoxville let a kid him in the nuts! 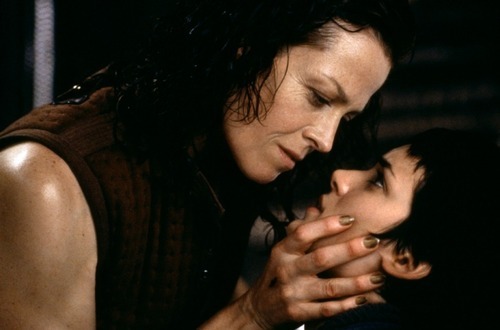 This week we make our triumphant return to the Alien franchise with the novel of Alien Resurrection, written by the wonderfully gruesome A.C. Crispin. Does the book live up to the film that you hate but we love? Why not give it a listen and find out? Seriously. Why not? What is your problem anyway? You can download it at the official site or why not subscribe to us in iTunes so that we can force our way into your iPod every week and mock your terrible music.